Intellivision MICROSURGEON Video Game Cartridge by IMAGIC TESTED! COMBINE S+H!! Intellivision MICROSURGEON Video Game Cartridge by IMAGIC TESTED! COMBINE S+H! 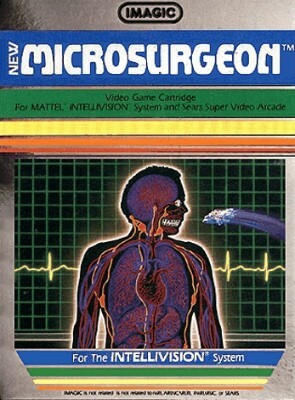 Microsurgeon cartridge -GREAT SHAPE- Intellivision & Intv - WORKS & GUARANTEED!